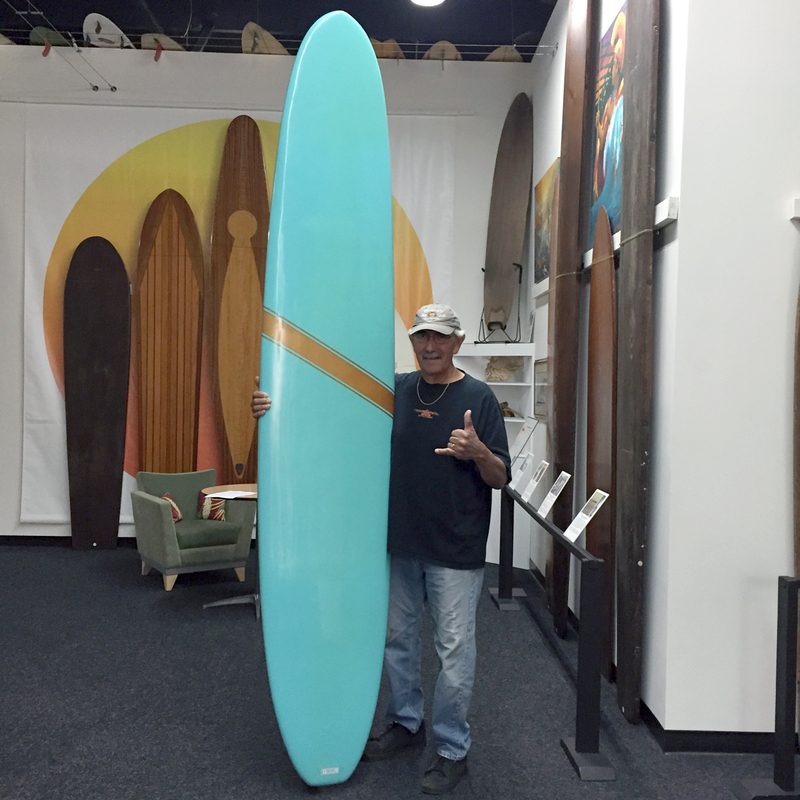 Long time Sano Hawaiian Surf Club member, Ed Escandon donated his second Whitey Harrison board. This one dates from the 1960s and has been refinished. The fin has the hole in it so Whitey could run a chain through the hole and padlock the boards together to a coconut tree. (We've seen some boards where the owner glassed a penny in the hole). Whitey was one of the first to experiment with early foam, even before Dave Sweet and Hobie Alter and came from the school of, "Why buy it when you can build it yourself." He even tried to fill his teeth using Bondo but when decided that wasn't such a good idea since it gets extremely hot when the chemicals go off. A true early California waterman and pioneer. Thanks for the boards Ed!